The cover story of February’s issue of Physics Today, the publication of the American Institute of Physics, is the physics of sailing. I like sailing: grew up on the coast of Maine sailing Lasers—and eventually and Ensign—every summer. Obviously, I can’t afford to sail out here in San Francisco, but I get to go home every summer and sail in Casco Bay. I thought the cover of Physics Today was a little cruel: “Hey you, in that dark laser lab, check out what these smart people are doing: Sailing!” But the article was actually pretty cool. The basic stuff was in there, and it even had equations (like Reynolds number). But really, I just looked at the figures. 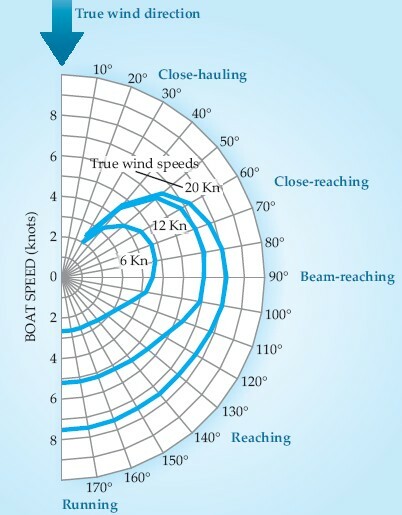 This is a helpful one: you can go faster on a beam reach than when running downwind. If you don’t realize that a (modern) sailboat is wings on the water, going directly downwind is what you would intuitively want to do. And going upwind is mind-boggling. 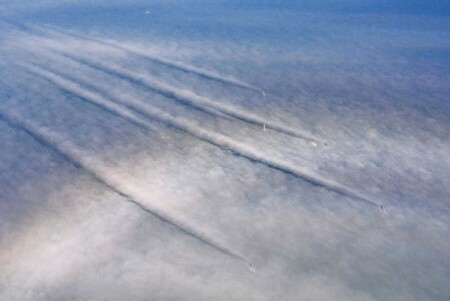 The beauty of vortices trailing off in the fog for thousands of feet was stunning. I also like that you can see that the third boat from the top is tacking and temporarily interrupting the trail. Cool. Well, here’s a PDF of the article if you’re interested. 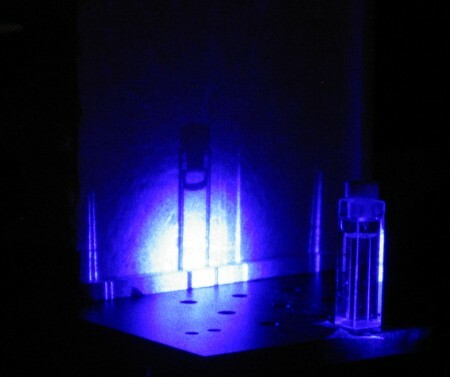 A figure from “Manipulating the Vacuum: Squeezed States of Light (Eur. J. Phys 9 (1988) 257). The uncertainties in E and B are non-zero even in the vacuum state (where no photons are present). 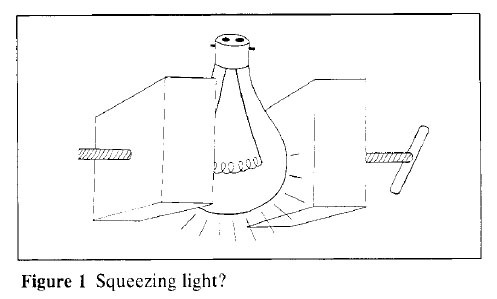 Squeezed light (see figure 1) has the property of a lower level of uncertainty in either E or B than the vacuum state. 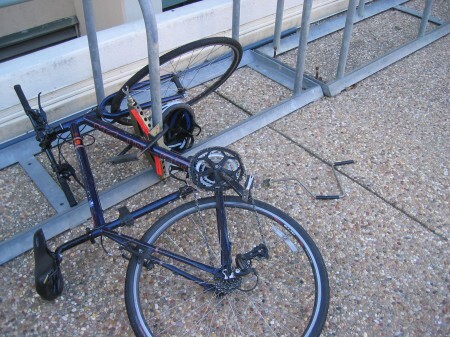 Any moderately good bike is always under threat on Stanford’s campus. Jerks drive around with pickup trucks and just steal any bike they can sell. 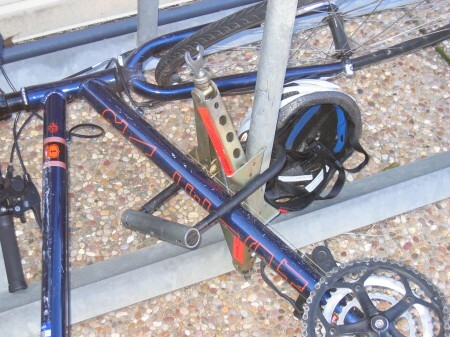 I had my first road bike stolen my first year, and I’m still pissed off about it. Now I ride the junkiest beater-bike I can: no derailleurs (poor-man’s fixie), bad brakes, rusty chain, etc. Nevertheless, some idiot stole the rear wheel off this heap; they needed a wrench to remove that piece of crap wheel, and there’s no way they could have sold it for anything more than 12 cents. The crazy thing: there were wheels all over the ground from previous thefts. I just grabbed one that sorta fit, and rode away. WTF?!? Why take the time to steal a crap wheel when there are half a dozen equally crappy wheels sitting on the ground, rife for the taking? I hope the person who caught the thief in the act disposed of their body in a place where no one will find it. Or even better, I hope they sold the body on eBay and made enough cash to buy three locks. I’m tempted to set up some booby traps on a nice bike some night. Nothing fatal, just severely uncomfortable. And something that might lead the police to the thieves. Any suggestions? Your chick shack up with your mate that is why you are alone. By reason of of his instrument size. Chicks love huge device. Do not worry bro. Today you have good possibility to Increase your machine size. Lots of men the world over have increase. Now its your turn. What the hell? My delay line is already 5 ft, quadruple passed. That’s a full 40 ns of pump-probe action. What I lack in girth (of pulse bandwidth), I make up for in S/N. Too bad it wasn’t enough to save my marriage. Who would unplug a fridge, anyway? Ridiculous. I think it was the people putting a new ventilation system in the room, a few years ago. 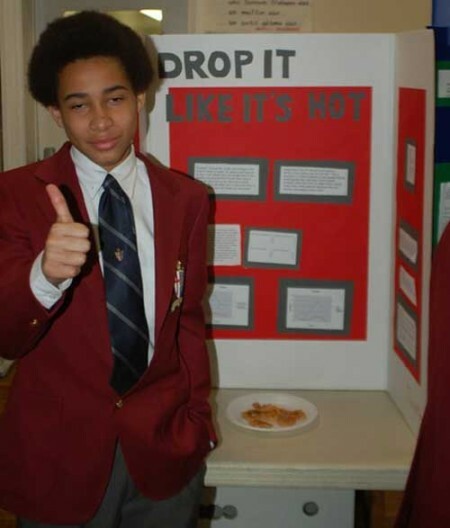 Don’t look at it for too long or you’ll burn your corneas. I always register for a conference the second I receive the annoying email two years in advance. But not everyone does, apparently. 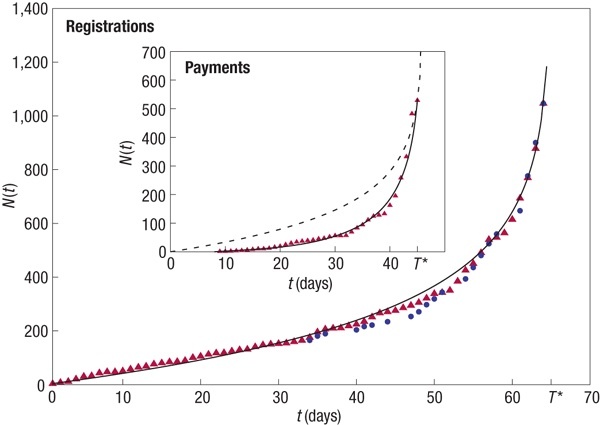 Someone wrote a letter to Nature Physics, analyzing the time distribution of registrations to a few conferences. The bottom line: people universally wait till the last minute. No kidding?